BEAUTIFUL POST! A TESTAMENT OF GOD’S GREAT LOVE FOR US- THAT JESUS WAS CRUCIFIED, DIED, AND WAS RESURRECTED IN ORDER THAT WE MAY BELIEVE IN HIM AND HAVE ETERNAL LIFE. 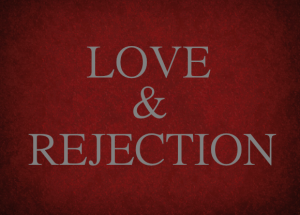 Have you ever had your love rejected? It hurts when someone rejects your love, whether you are 13, 23, or 73 years old. Oh, the pain of rejected love! While many of us will remember our fathers this Father’s Day, we need to honor another father, the Father of all fathers- our Father God in heaven. It is God, our Father, who loves us with an Enduring Love. Unlike our earthly fathers, God knew us and loved us from before we were born (Jeremiah 1:5). And when our fathers leave this earth and they can no longer care for us, our Father in heaven will continue to love and care for us. Some children have not had good earthly fathers. Some have had absentee fathers or fathers that they have not had a very good relationship with. This is not the case with our Father God in heaven. It says in 1 Peter 5:7, “Casting all your care upon him; for he careth for you“. Isaiah 59:1 tells us, “Behold, the Lord’s hand is not shortened at all, that it cannot save, nor His ear dull with deafness, that it cannot hear.” And He said, “… I will never leave you, nor forsake you” (Hebrews 13:5). God has plans for each of us, “plans to prosper you and not harm you, plans to give you hope and a future” (Jeremiah 29:11 NIV). In the New Testament, Jesus taught us about our Father in heaven when He said to pray, “Our Father which art in heaven, Hallowed be thy name” (Mt 6:9). Jesus spoke about God many times as ‘your Father which is in heaven’ or ‘your heavenly Father’, using the personal pronoun ‘your’ meaning ‘our‘ Father! In the Bible, God, our Father is revealed as a loving and merciful God. God is our Heavenly Father– if we believe in and accept Jesus as our Saviour. There is a popular song among the youth called ‘One Way’ which emphasizes this fact. There is only one way to have eternal life with God in heaven. It is through Jesus. Jesus said ‘I am the way, the truth, and the life: no man cometh unto the Father, but by me’ (John14:6). He said “For the Father himself loveth you, because ye have loved me, and have believed that I came out from God” (John16:27). The Bible says, “That if thou shalt confess with thy mouth the Lord Jesus, and shalt believe in thine heart that God hath raised him from the dead, thou shalt be saved” (Rom 10:9-10). If you believe in your heart that Jesus was sent from heaven by God to save you from your sins, and to show you the way to heaven, then God is your Father, and you are His child. He is your Father God! So on Father’s Day and EVERY day, let us honor God, our Father in Heaven!